Well, well, so much to report since my last blog. I had time to visit the amazing MONA museum which is simply stunning…it really is possibly the most stunning modern art museum in the world. The museum is the brain child from the very progressive mind of the museums creator Brian Walsh. Brian is also an enthusiastic Bowie fan so it was no surprise that he was in the front row at our Bowie Unzipped concerts. Duffo, pictured below performing at Festival of Voices and also below interviewing an unsuspecting Brian Walsh creator of MONA. Following the Tasmanian concerts, we continued to take our show on tour around Australia, performing concerts in Sydney Brisbane,Gold Coast, Melbourne. In July I was invited to perform on the opening nite of the ‘BOWIE IS’ exhibition at the ACMI in Melbourne. It’s an amazing exhibition, giving punters a personal insight into Bowie world, displaying costumes, paintings, original album artwork and video footage. 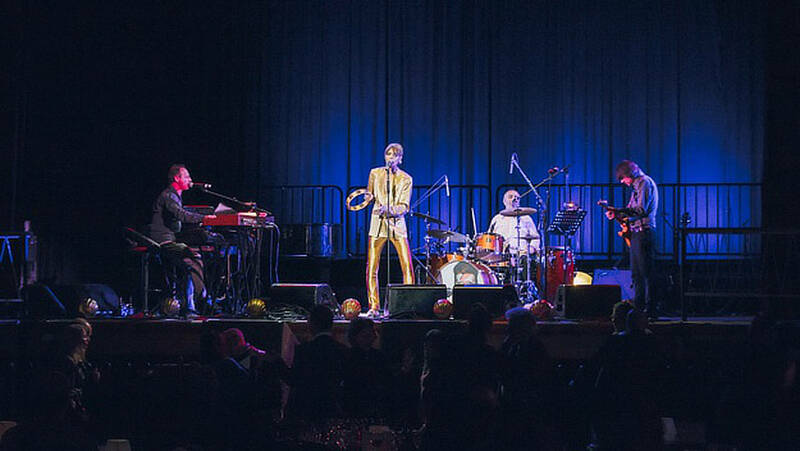 Our original Bowie line-up of Glenn Rhodes-keys, Jak Housden-guiitar and Jess Ciampa-drums had a couple of deps in Paul Berton-guitar and Ben Isackson-drums for the Queensland and Melbourne shows.Glenn remained and held it all together as musical director. It’s a compact line-up and difficult for any dep sitting in as it’s a very rehearsed show. I’ve steadily been gathering photographs from my career for my auto-biography, which is penciled in to be published in March next year  by Melbourne Books. 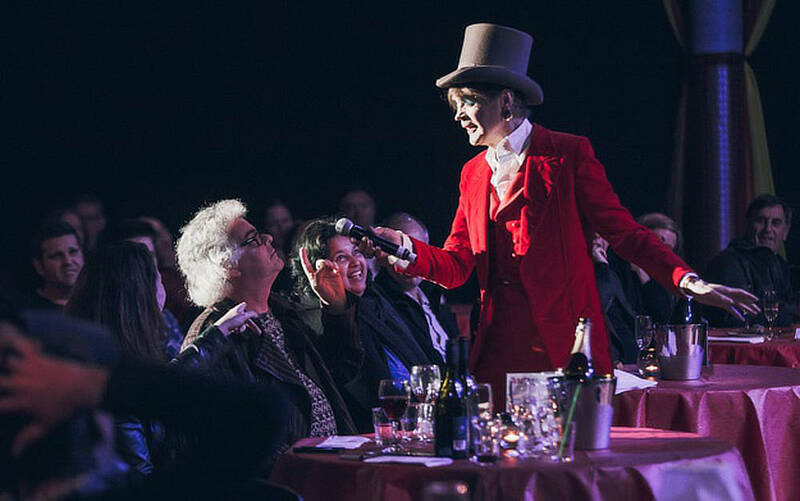 I managed to find time to perform the ‘Walk on the Wildside’ show at Camelot in late july which was a blast…such a popular show built primarily on the strength of one amazing Lou Reed song! On the sporting front, the Swans, bombed out of the AFL finals,and the aussie cricket team bombed out of the fight for the 2015 ashes series in England. I’ve begun my cricket training for the new season and play the season opener this weekend, October 3 2015. Film director Edward Inchbold, selected me to play one of the rather spooky characters in his new short movie called ‘Pollymorphia’. We filmed the movie in Sydney in September. I’m looking forward to seeing the completed film…apparently the aim is to have it screened at the Cannes Film Festival. I’ve recently signed a new recording agreement with ‘Laneway Records’ to have my entire album catalogue digitally re-mastered for download, streaming etc. Ironically, the Laneway Records office in Melbourne is in the same block as my book publishing company ‘Melbourne Books’ Both, my autobiography , which is tentatively titled, ‘This will explain everything’ and the album downloads will be available early in 2016. Duffo does Bowie Image Copyright of Steve Lees Duffo Bowling Demon!